Search Engine Optimization (SEO) is what allows potential customers to find you online and access your company’s digital platform. When users are searching for a product or service online they very rarely go beyond the first page of their search results. When your company doesn’t appear in the first page of online searches you are virtually invisible to a wide pool of potential clients that are actively looking for the products and services you provide. Search engine optimization is anything that makes your site more visible, and more attractive, to the search engines. Investing in your site is a good first step, the next and possibly most important is to ensure that your potential clients can find you. By optimizing your website for online searches, you become discoverable in online searches and allow current and potential clients to find your business and get familiar with your philosophy and branding. Hence, effective SEO also allows you to explore new geographic, behavioral and demographic markets. SEO is a crucial marketing component that enhances your visibility online and makes your website discoverable by potential clients. Long term investment in your brand that allows you to build your reputation online and be competitive in the digital market. Keywords that are performing well will convert to solid leads, and give you higher ROI. Optimizing your website allows you to tap into wider target markets and prevents your capitalize on incredible opportunities available via search. At Cardan Marketing, we create strategic campaigns that will increase your search engine rankings to not only increase traffic, but to attract the right audience and generate better qualified leads. 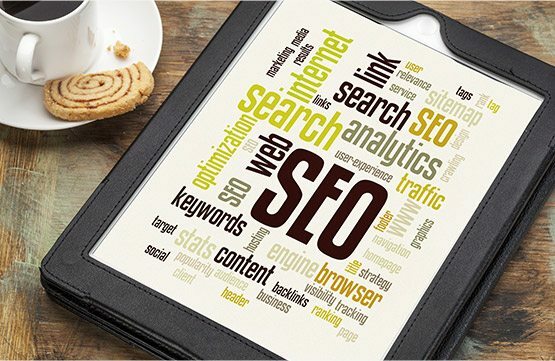 To learn more about search engine optimization call 403-701-5772 or contact us.